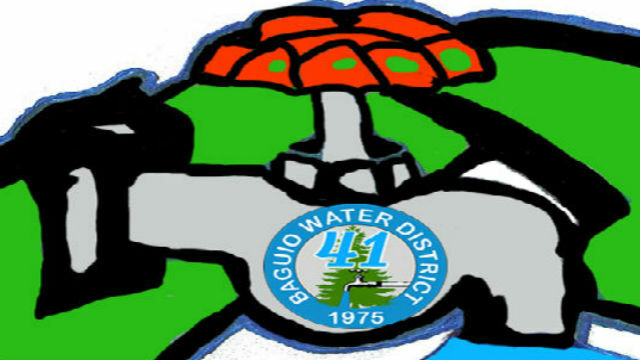 BAGUIO CITY – The Baguio Water District (BWD) assured residents and visitors that there will be substantial water supply that will be distributed to the consumers during the expected prevalence of the dry months that is expected to extend up to June this year. BWD general manager Engr. Salvador M. Royeca said that consumers in the city need at least 50,000 cubic meters of water daily that could increase to 55,000 cubic meters daily during the peak tourism months compared to the production of some 47,000 cubic meters of potable water daily from available water sources in the different parts of the city. Currently, BWD has a total number of 42,870 residential and commercial consumers with a growth rate of more or less 1,500 consumers monthly. “We do not want that our deep wells will be over used in producing adequate water supply for our growing population that is why we continue to resort to looking for additional and alternative sources of water which will be equitably distributed to the consumers in the city’s barangays,” Royeca stressed. The BWD official admitted that by forcing existing deep wells to produce water will not do good to the city’s aquifers that is why some of the water district’s deep wells have stopped operations considering the depleted supply in the said areas, thus, the water reserve from the existing rain catchment basin in Mount Sto. Tomas is being used to augment whatever inadequacy in the existing supply. According to him, the presence of the catchment basins will allow some of the water district’s deep wells and other sources to recover until the rainy months so that the same will be able to produce adequate supply of water for the increasing population triggered by rapid migration of people from the countryside. Royeca admitted that one of the challenges being confronted by the water district is the proliferation of illegal deep wells that tend to compete with its existing deep wells in the production of water thereby affecting the vibrance of the city’s aquifers. He added that BWD continues to look for other potential sources of potable water which they could distribute to the consumers to help address whatever inadequate supply that will be created, especially during the dry season when the supply in the city’s aquifers becomes limited. Royeca admitted that the provision of water supply to the residents and visitors is actually challenging because of the need to provide adequate water supply to people living in highly elevated areas in the city considering that there are sources of water that are situated below the highly elevated areas, thus, the need to pump up the water and bring the same to the residents living on top of the mountains in some of the city’s barangays. BWD is supportive of the proposal to establish the Department of Water that will be provided with sufficient powers that will regulate the operation of illegal deep wells so that the same will not compete with the water production of legitimate deep wells operated by the water district so as to ensure the stability of water supply in the city during the dry months. Royeca asserted that water districts are empowered to address the occurrence of water shortages in their areas of jurisdiction for the consumers to be assured with abundant water supply year round even if it will be on a rationing basis.